The OSU community has one of the largest gatherings of hydrologists and ecologists in the USA. They include not only campus faculty but also courtesy faculty from the suite of federal research laboratories located adjacent to campus (e.g. US Environmental Protection Agency, USDA Forest Service, USDA Agricultural Research Service). This combination makes for a world-class grouping of people, mapped against one of the strongest hydrological gradients (from the super-humid Oregon Coast to arid Eastern Oregon) in the world. 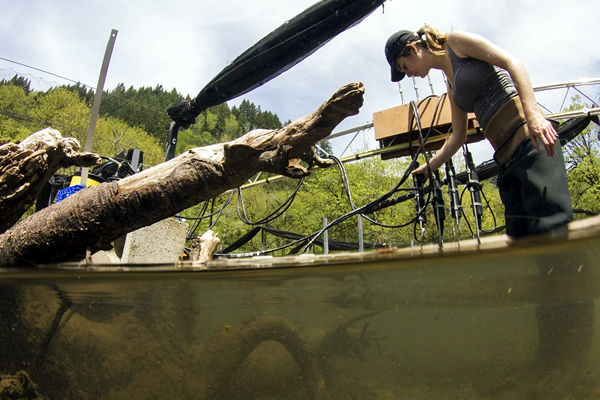 The campus is known for its cross-discipline collaborations -- for example faculty from the top-ranked forestry and conservation biology programs collaborating on salmon conservation studies. 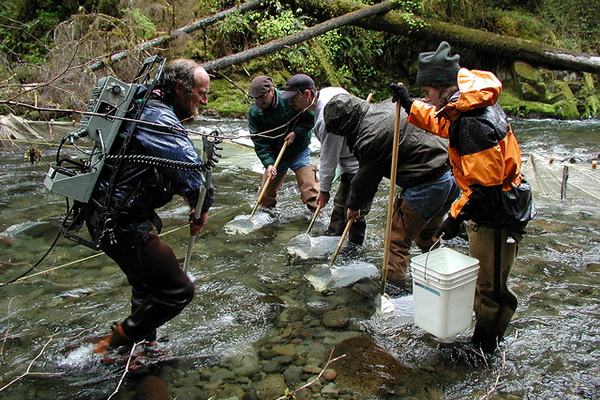 Many researchers take advantage of nearby field laboratories such as the NSF Long Term Ecological Research (LTER) facilities at the HJ Andrews Experimental Forest and industry timberland instrumented watersheds in the Oregon Coast range (Hinkle Creek, Alsea and Trask). Unlike other land-grant institutions, OSU's engineering connection gives it strengths in treatment technologies for surface water, groundwater, and wastewater systems. Engineering programs include environmental engineering with a focus on biological treatment methods for groundwater remediation, modeling and hydrology in ecological engineering, and civil engineering. Many engineering faculty are also connected to the Oregon Built Environment & Sustainable Technologies Center (Oregon BEST) that links the state's businesses with its shared network of university labs to transform green building and renewable energy research. Partnering with the OSU College of Business places a “business face” on the sustainability of engineered solutions to water problems. Before graduating, many engineering students enroll in coursework leading to a minor in humanitarian engineering or a business savvy entrepreneurship minor. Addressing water resource challenges and reducing conflict in the US and abroad requires that water professionals and decision-makers receive specialized resources and skills that go beyond the traditional physical systems approach to water resources management. 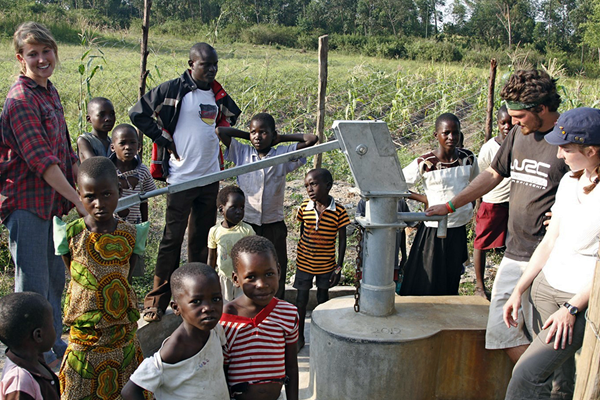 OSU offers a post-graduate certificate as part of their Program in Water Conflict Management and Transformation. The program leverages personnel from the nationally-ranked College of Earth, Ocean, and Atmospheric Sciences and the College of Forestry, as well as specialists in water policy, social science, communication, and anthropology. OSU water has close links with UNESCO, the World Bank, the US Bureau of Reclamation and the US Army Corps of Engineers. Within Oregon, the IWW and its sister institute, the Institute for Natural Resources strive to connect state agencies and decision makers with Oregon's universities.